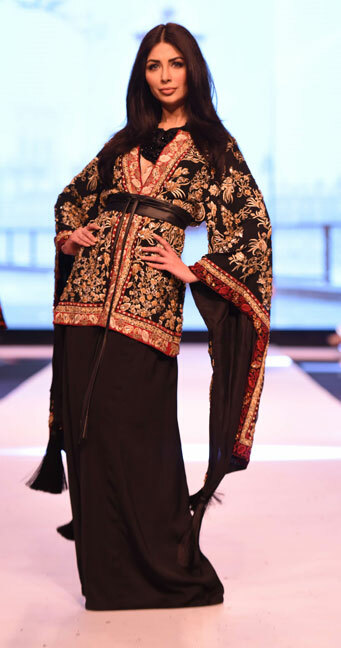 Ayesha Farook Hashwani, someone who may not have been around enough to be deemed legendary yet, but definitely deserves to be called iconic with her refined sense of fashion. 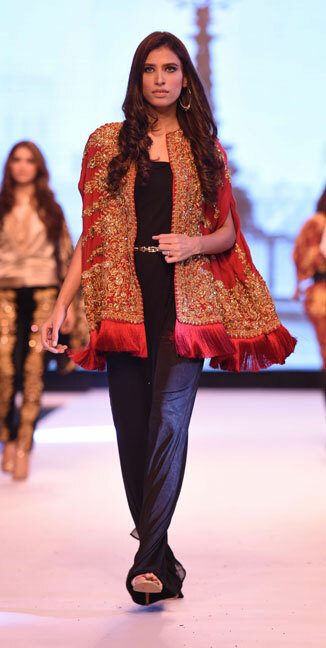 Her latest collection for FPWAW14 was inspired by "Baroque". Art history, when interpreted through fashion, is always a delightful experience. Baroque inspired fashion is not unheard of but the result of every inspiration differs and infuses the mind with grandeur. This fall Baroque may be THE trend to follow, yet again. Baroque Style always makes a comeback, specially in fall/winter, due to its richness and adaptability to the season. We have seen the runways, winter after winter, glisten with Baroque inspired masterpieces by Lanvin, Balmain, Alexander McQueen and many others. These collections are then further "translated" poorly by smaller designers. We all have witnessed the massacre of a certain Balmain piece being used and abused in every medium possible last year in Pakistan. AFH, however, took direct inspiration and interpreted the art rather than another designer's creation. An admirable move and she gets brownie points for that. The opulent yet rigorous collection was full of drama. Textured fabric - think silk tapestry and velvet - with ornate motifs, gilded decorative embroidery and filigree like embellishments. The form and silhouette were more modern compared to the detailing, highlighted through various capes and jackets. 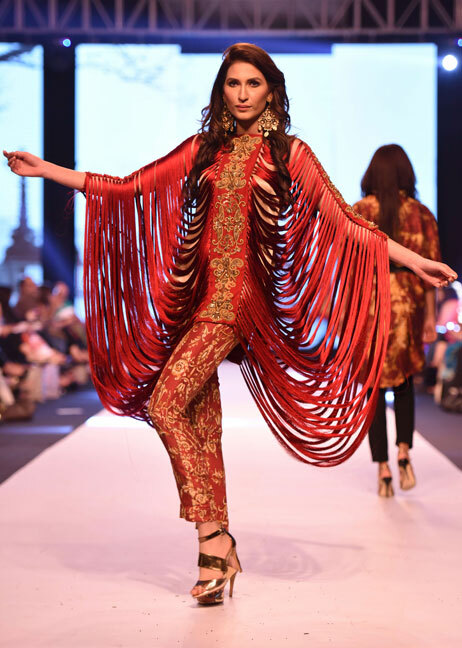 Certain pieces, specially the tasseled silk red top worn by Abeer (see first photo below), showed impeccable finishing through tailoring and technique. 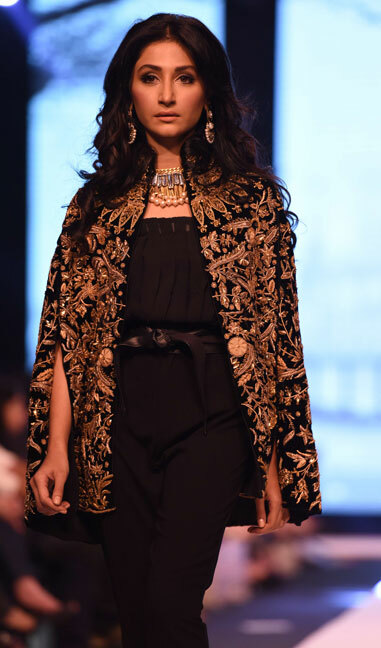 Every piece was being oogled by fashionistas, wishing for an item or two for their winter evening wardrobe. AFH has showed us that Baroque is not going any where, yet. The overall collection may seem a bit overwhelming but when paired with an air of exuberance can set hearts on fire this winter. What is your feed back on this collection? 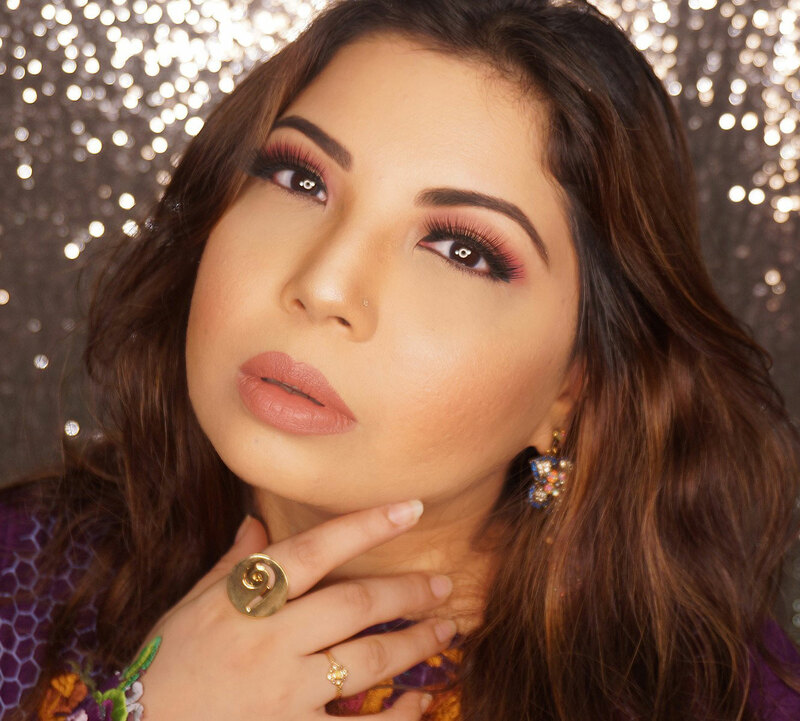 Do share with me in the comments bellow :) Feed backs are always welcome! I am such a big fan of baroque. Amazing review. Great clothing.